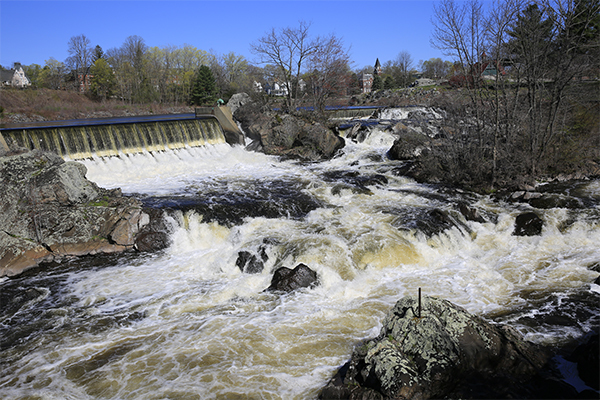 Thousands of small dams still remain in New England. Cargill falls is one of the prettier ones, even though the dam and falls are in the middle of an urban area. 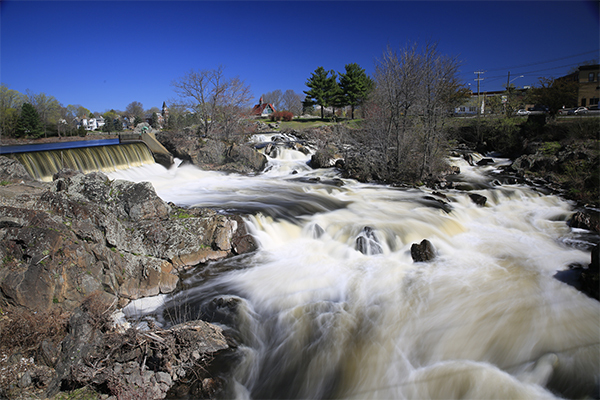 Views of the broad dam and several channels of cascades are unobstructed from the Pomfret Bridge on US-44. 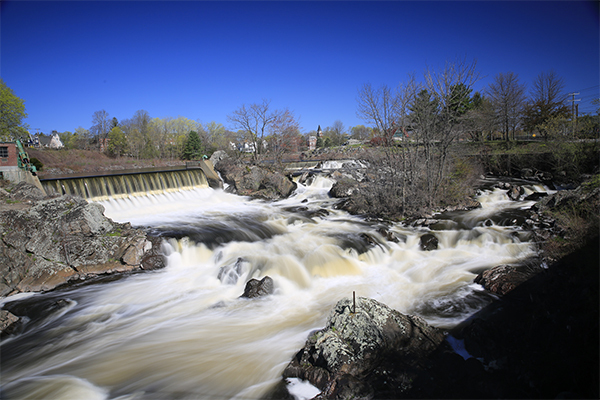 An island splits the Quinebaug River and dam in two, creating a jumble of cascades below as the river quickly tries to reconnect. Mills serving various purposes have been on site here since the 1700s, and the dam is still used today to create a small amount of hydroelectricity. From the parking area, follow the paved Putnam River Trail upstream heading north. The falls will be on your left in 300 feet. The best views are from the Pomfret bridge on US-44 at the Kennedy Dr intersection. From I-395 in Putnam, take exit 47 (old exit 97) for US-44. Follow US-44 west into downtown Putnam. Continue on US-44 west for 0.6 mile beyond the junction of US-44 and CT 171 and take a left onto Kennedy Dr. Follow Kennedy Dr for 150 feet and pull into a paved parking lot on the right. 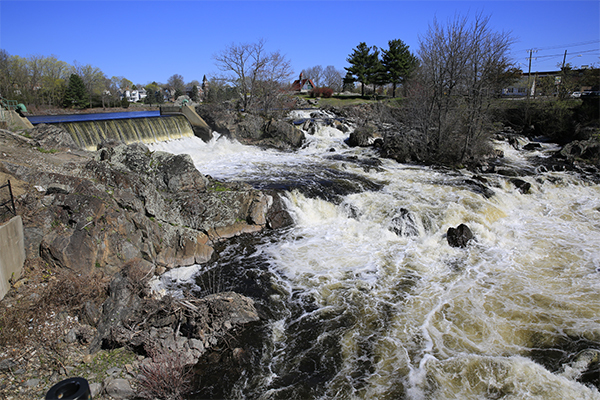 The Quinebaug River will be directly in front of you. To get to Putnam, take I-395 north from Norwich or US-44 west from Providence, Rhode Island.